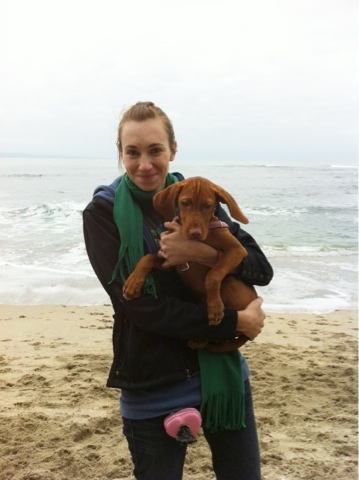 Riley went on her first Vizsla group walk today @ Half Moon Bay! 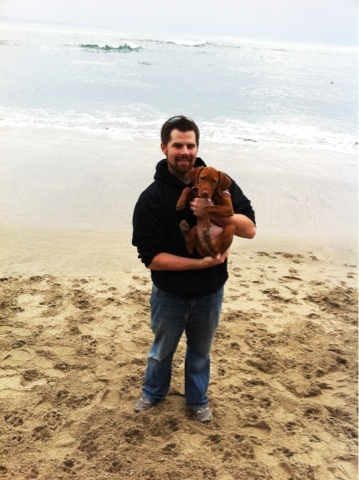 She also went to the beach for the first time and zipped up and down the sand. We had so much fun and all the Vs were really sweet and friendly to our little baby. 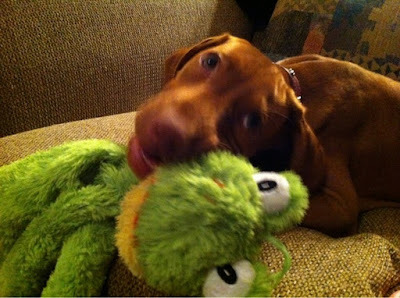 :) After the walk, we had a delicious lunch at the Flying Fish and Ri picked out a new froggy toy from the feed store in town. 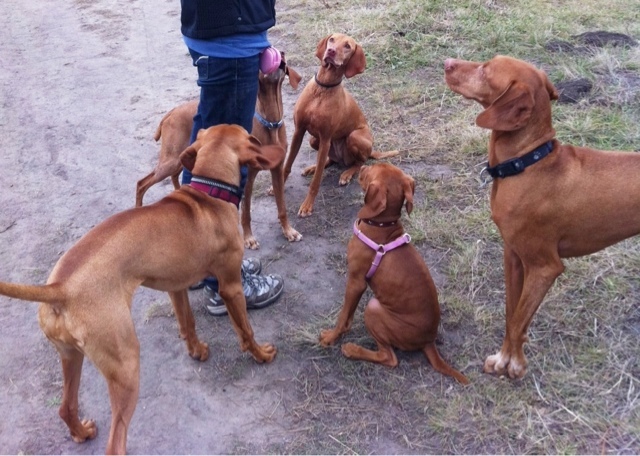 We can't wait until the next walk!